Last summer, inspired by Reggie Miller’s comments on the Dan Patrick Show, I wrote an article explaining why Larry Bird was better than LeBron James. One year and one incredible performance against the greatest regular season team in history later, it’s getting increasingly difficult to make that argument. Larry Bird played 13 years in the NBA. LeBron James just finished his 13th season and clearly still has a little something left in the tank. The important factors to remember here are that Bird started his career at age 23 while LeBron started at 19, and Bird declined quickly in his last four seasons due to injuries. That’s right, 31 year-old Larry Bird was better than 31 year-old LeBron James in every single major category besides assists in the regular season. The playoffs were a different story, and that’s where things start to get tricky. In what was his last great year, Bird’s demise began in the 1988 postseason. He failed to live up to the high expectations that he set with his exceptional regular season and started to show signs of aging. The Celtics fell to the Bad Boy Pistons in six games in the Eastern Conference Finals. 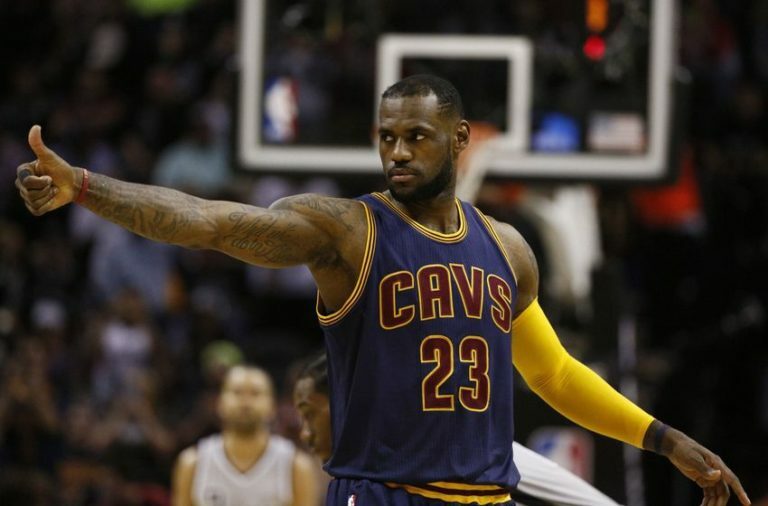 More-so in basketball than in any other sport, the success of a player’s team is vital in determining their level of “greatness”, and Bird and LeBron are starting to look similar that category as well. Both have been to the Eastern Conference Finals eight times. LeBron is 7-1, Bird was 5-3. 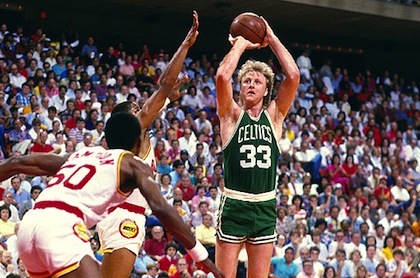 Despite appearing in the NBA Finals two less times, Bird has a better record (3-2) on the big stage than LeBron (3-4). Last year one of the main reasons for people saying that LeBron hadn’t reached Bird’s level of greatness was the fact the Bird was considered to be more of a winner. He had more championship wins in less appearances, was never afraid to take the big shot, and stuck with the same team his whole career. While the latter is still true, LeBron has just added another ring to his collection. And it’s not so much the fact that he won a third ring to tie Bird, but it’s the way in which he won it that makes this comparison so much more interesting all of a sudden. Before this season, you could have made the argument that Bird gets an advantage because he faced stiffer competition. But no matter where you stand on the 2016 Warriors vs. Showtime Lakers debate, 73-9 is no joke. Going down 3-1 in the Finals to a 73-9 team and willing your team to victory is absolutely unheard of, and as much as I hate to admit it “Baby Bron Bron” moved way up on the toughness and clutch scale with this one. Is he more clutch than Bird? Absolutely not, and he probably never will be. First of all, Bird was a much better shooter. But besides having the ability to score from anywhere on the floor with the game on the line, Bird was fearless from the moment he entered the league. LeBron has had an extremely long learning process when it comes to handling himself in the closing minutes of a tight game. Again, Bird was 23 his rookie year and LeBron was 19 during his, but the majority of LeBron’s infamous postseason collapses (2010 vs. Boston, 2011 vs. Dallas) have come in his mid to late 20’s. Luckily for LeBron, he’ll be a great player well into his 30’s and will have even more time to continue to mature. And luckily for Bird, he was mature at a young age so when his back problems set in during his early 30’s he had already put together an all-time great career. As far as league MVP’s, Bird had three and LeBron has four. Bird was selected to the All-NBA First Team nine times, LeBron has been selected 10. Both players have been selected for the All-Star Game 12 times. Although they both have three titles, LeBron has been the Finals MVP all three times. Bird won the award twice but Cedric Maxwell took it home for the C’s in 1981. One thing that Bird has done twice that LeBron will likely never do is join the 50-40-90 Club, an elite group of players who finished a season shooting at least 50% from the field, 40% from three, and 90% from the free-throw line. Seven years after the three-point line had been implemented, Larry was the first one to accomplish this feat in 1986-87 before doing it again the next year in 1987-88. He’s since been joined by Mark Price, Reggie Miller, Steve Nash, Dirk Nowitzki, Kevin Durant, and Steph Curry. 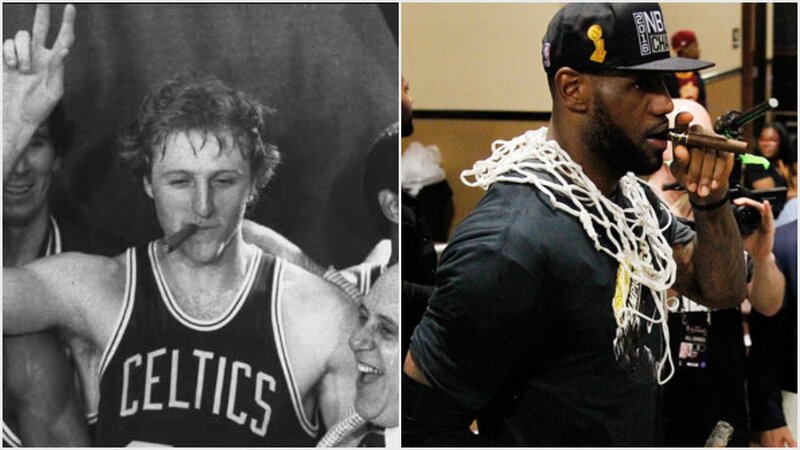 As far as basketball skills, there are two things that Larry Bird did significantly better than LeBron James does. Shoot and rebound. LeBron’s advantage over Bird is that he’s an absolute physical specimen, and while Bird’s body wore down once he hit 30, LeBron looks like he’s going to be an extremely strong player for a few more years. But despite the clear physical advantage for James, Bird still grabbed three more rebounds per game. LeBron is also superior on the defensive end of the floor. He’s been selected to the NBA All-Defensive First Team five times. Bird never had that honor, but was chosen for the All-Defensive Second Team three times. Still, Bird averaged the exact same number of steals and blocked shots per game as LeBron. LeBron brought a team of no-names to the NBA Finals in 2007. Larry Bird single-handedly transformed the Celtics from a 29-53 team in 1978-79 to 61-21 and an Eastern Conference Finals appearance his rookie year in 1979-80. Both players proved that they’re capable of turning a team into a title contender all by themselves. If you said Larry Bird was better than LeBron James a year ago you would have been correct. If you’re still saying that now it’s probably time to make some room for LBJ at the top of your list, even if you hate him. As a Celtics fan who has hated him for the better part of his career, it’s especially hard to admit this. All good things must come to an end, and that includes Larry Legend’s run as the greatest small forward to ever walk this Earth. At this point he shares the throne with one of the Celtics’ biggest villains in recent memory, and that’s just something we have to come to terms with. great article. yes it’s funny really. If someone told me that LeBron is better than Bird in Game 4 of NBA Finals, I would high five their faces with a chair. But the last 3 games of the NBA Finals must go down as the greatest NBA Finals performance in history, considering what’s at stakes, the circumstances, and the era. His legacy is on the line whether he would be 3-4 or 2-5. He was 3-1 against the greatest regular season team which coincidentally is also the greatest shooting team in NBA history and out of the last 3 games, 2 were on the road. And the last fact is that he did this in the era of social media and internet. Bird, Magic, and Jordan never had to face the cruelty of critics from people all over the world if they played badly. Larry Legend is the GOAT. That’s all I have to say about that.